What lluggage are you using? Ive got a long weekend to France at the end of April, just 3 days 4 nights, but can't decide which to go for? So I have has to put my Kreiga US20 on the pillion seat - using the rear seat loops at the back and the very well thought out slits in the pillion pegs at the front. The straps are a good inch away from the seat tailpiece. But for good measure I have put some foam heating pipe insulation around the strap at this point - just in case. That with a small tank lock bag has given me more than enough for this short trip. But in June when I head to Portugal I will use the Kreiga either a 20 or 30 with two 10s on the side. The sports rack should make the strapping dead easy for this arrangement. I just about to head for bed as I have a 6.50 appointment with Le Shuttle tomorrow. But I'll see if I get time for a picture or two. Do Austin racing have a slip on? I seen this one on Ebay but wasn't sure if it was a replica? Contemplating doing the same, would love to listen to that if you happen to have a sound clip. I have that Austin racing slip on on mine , I'd say it gives off a deeper tone but not much louder than stock if at all ! Had the bike just under two weeks. Jusr over 700 miles on it now. 1st service done. After much deliberation and for what seem to have took ages (3 months) to make and get delivered I have finally fitted my custom D3 Components Tail Tidy. 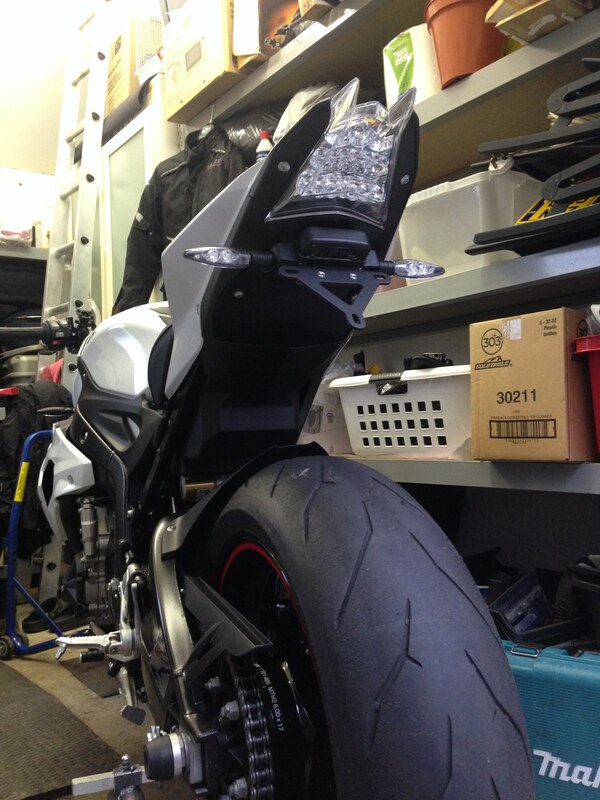 I asked Daz @ D3 for a tail tidy to take a 6*4 plate, plug and play, and look OEM and boy did he deliver. 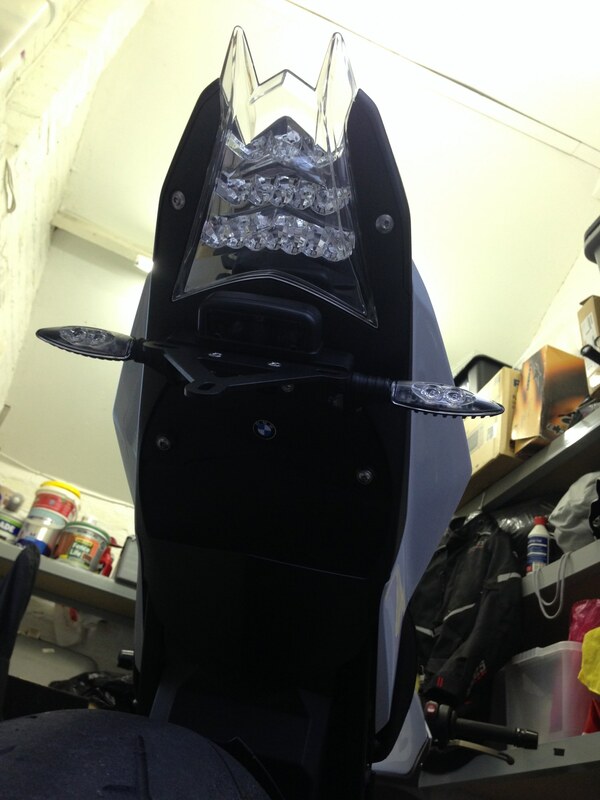 I am so pleased with the product, the angles and how it sits on the bike. There is no cutting wires just all plug and play. If we knew what we are looking for, it wouldn't be called research!! 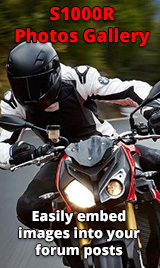 Does it utilize the existing number plate light? That's the only reason that the Evotech one is not completely plug and play--you have to cut and splice the wires for the new LED light that they supply, but no big deal to do and it looks great as well. 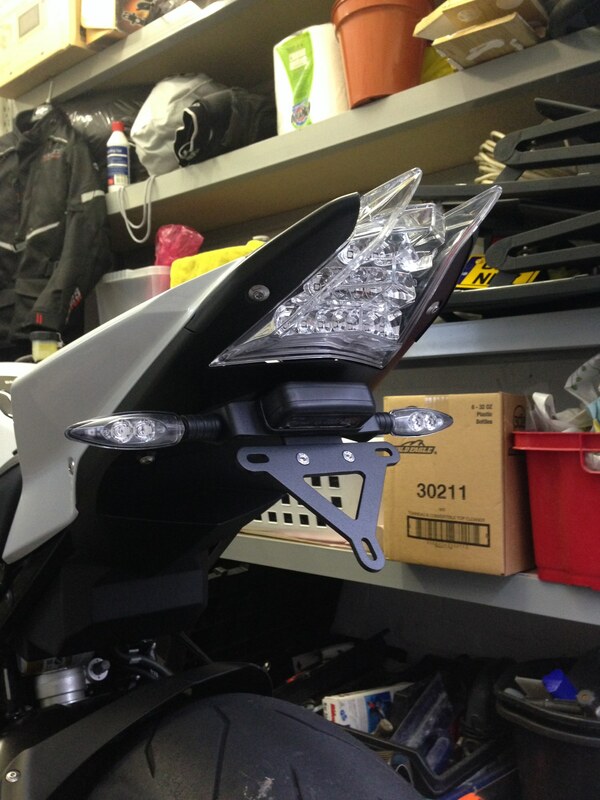 Yes the stock number plate light is used with this tail tidy.